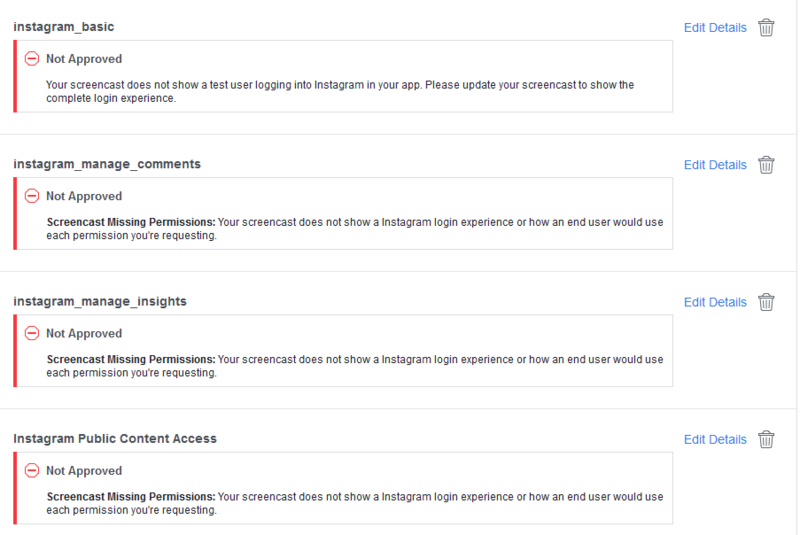 So apparently Facebook is phasing out the Instagram API so both Facebook and Instagram will need to be managed with a Facebook app, but with additionnal permissions such as instagram_basic, instagram_comments, instagram_manage_insights, Instagram Public Content Access (that's the permissions I've got told I need for supporting Instagram with Facebook on my site), any idea whether you'll support that in the future? yes, we will of course support the new permissions! Currently, Facebook wants us to show the permissions we want in a screencast. However, we use OneAll to manage our users' connections, there is only instagram_manage_comments that we can check on your platform. Please let us know if possible when the other permissions will be available, to estimate when we can complete our pending Facebook request to unlock our project.